Raju Murugan, known for his hard-hitting and powerful films such as 'Cuckoo' and 'Joker' has written the story and dialogues for 'Mehandi Circus' which his brother Saravana Rajendran has directed besides writing the screenplay as well. 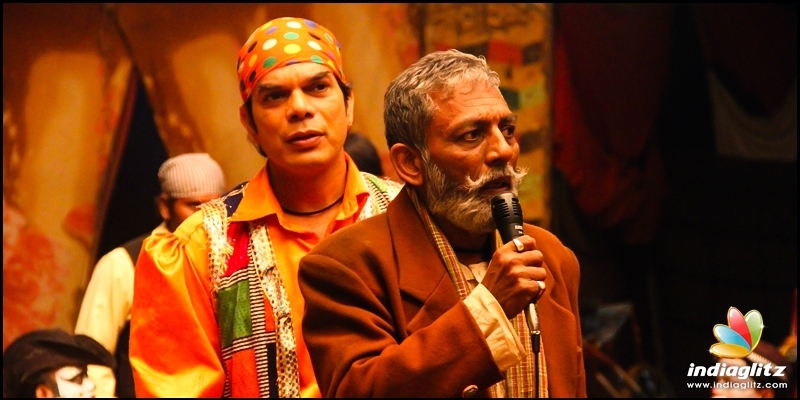 Will this breezy old fashioned love story with strong moments strike a chord with the audience remains to be seen. Jeeva (Madhampatti Rangaraj) a middle-aged man wastes away his life by drinking and listening to 80s and 90s Ilayaraja songs in Kodaikanal and people around him say his life froze in 1992. A girl Nisha (Pooja) arrives from deep interior Maharashtra and tells him that her mother Mehandi is in her deathbed and wants him to go with her. On the way Jeeva reminiscences about Mehandi (Shweta Tripathi) a girl who comes to Kodaikanal with her circus troupe in 1992. 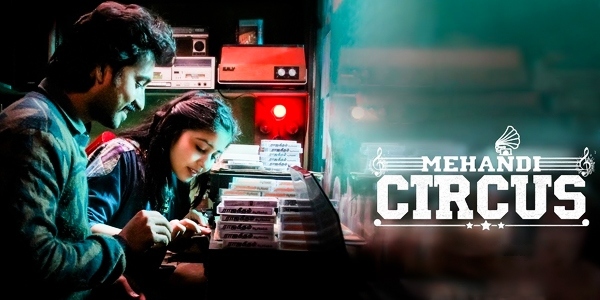 It is love at first sight for Jeeva who owns an audio cassette shop and woos her playing old Hindi song. The girl's father sets a dangerous test for Jeeva to have his girl which could kill her while his own father a caste obsessed man (Marimuthu) hurts the circus people badly. How the star crossed lovers separated and will they meet again and will their love win, in the end, forms the rest of the story. 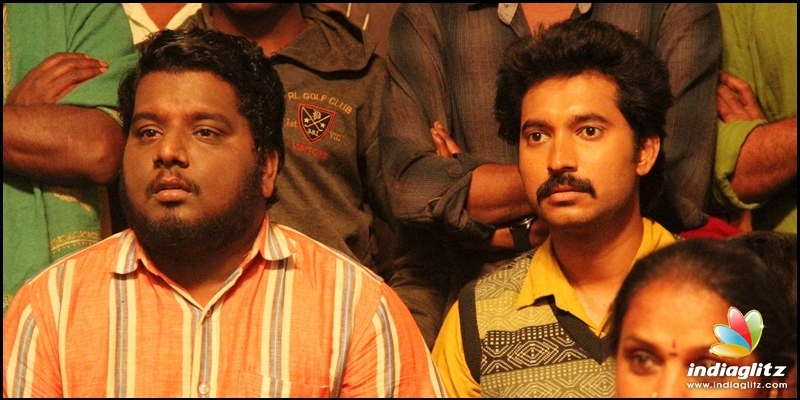 Madhampatti Rangaraj a relative of Suriya and Karthi has done a commendable job on debut first playing a carefree youth in the nineties who pursues his love steadfastly reminding one of Navarasa Nayagan Karthik in his appearance and swag. His acting holds good later too when he is shown as a middle-aged man. Shweta Tripathi, known for her bold roles in 'Masaan' and the web series 'Mirzapur' makes her Tamil debut and has done full justice to her caliber. The one scene in which she expresses with her eyes to the hero that she trusts him to throw knives at her is simply outstanding. 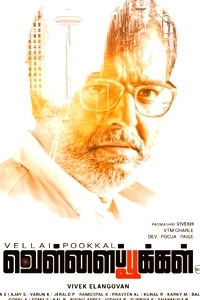 Vela Ramamurthy plays a church father who is totally different from the way the character has been portrayed in Tamil cinema and that the actor has enjoyed playing the role shows on screen very effectively. Sunny Charles as the girl's father is brilliant and his broken Tamil and subtle expressions elevate the character to a high level. Ankur Vilas as the knife thrower has different shades to his character that he has portrayed impeccably while Pooja who plays the daughter of the heroine too is adequate and turns out to be a pivotal character in the story. R.J. Vignesh as the hero's friend tries to cook up some comedy and fails almost all the time and his portions are the most cliched in the film. The best scenes in 'Mehandi Circus' are the ones that happen in 1992 with Ilayaraja as usual lending authenticity to them with his evergreen songs and especially the "O Paapaa Laaali" from 'Idhayathai Thirudathe' which is also used as a key narrative tool. The writing is brilliant when the other side of the church father is shown and the way his character arcs in the end. How the mother of the hero copes with her casteist husband is so close to truth and so is the husband himself finding out the futility of his superiority complex in the end. The scene in which the lovers are found and beaten up by the casteists and the camera goes inside the house to show the letter of the priest to save them under the photos of Periyar and Ambedkar is a powerful directorial touch. The dialogues abound with social commentaries and contemporary politics and not even MGR and Rajini are spared. On the downside the love between the lead pair on which the entire screenplay hinges on offers nothing new and there are not even enough scenes to show it develop into an all-consuming obsession for both of them for the audience to care enough. The conflict between the girl's father and the hero is also on the surface level and the Jadav character turns into a bad man just for the sake of it. There are also a few draggy portions in both the first and the second half and on the whole, the central plot though has substance lacks the energy to carry the screenplay to the end. 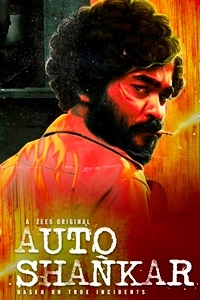 Sean Roldan has tuned in some similar sounding songs which are pleasant to hear and his background score pales as he has to compete with the Ilayaraja effect in this film. The biggest plus of 'Mehandi Circus' is most definitely Selvakumar S.K. 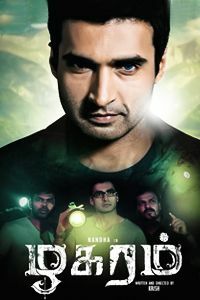 who with his play with natural lighting transports the audience to Kodaikanal, Maharashtra and everyplace the story travels to. Similarly, the art director Sathish Kumar's work is excellent in reproducing the circus, the cassette shop, the church, the priest's house, the Periyar-Ambedkar house, rural Maharashtra and pretty much everything. Philomen Raj's editing plays smoothly with the gentle pace of the screenplay. Raju Murugan has written a strong love story on paper which does not fully translate on the screen but his dialogues stand out. As far as director Saravana Rajan is concerned he has extracted good performances from his cast and has also packed more than a few surprises in his storytelling which surely makes it respectable debut for him. Verdict: Go for this breezy nostalgic love story that has it share of compelling moments.